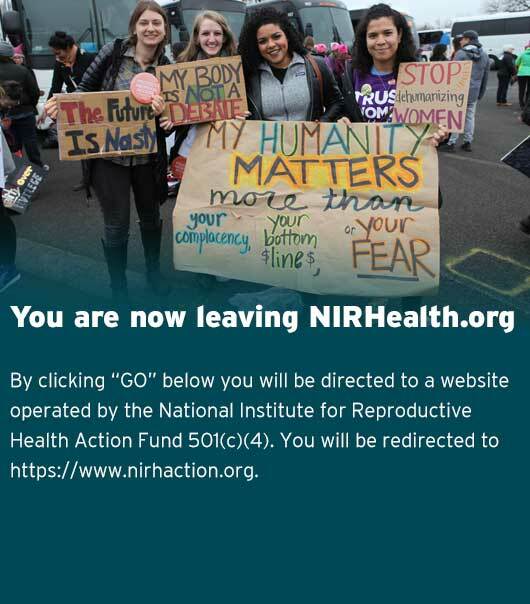 The ability to make reproductive decisions and access health care without coercion from discriminatory policies or practices is central to reproductive freedom. When pregnant women are incarcerated, their reproductive decisions, freedom, and health are at risk. Incarceration, by its very nature, involves temporarily surrendering a number of freedoms, but the freedom to be healthy, to decide whether and when to bear a child, and to have a healthy pregnancy should not be among them. NIRH works to support changes in policy that address the reproductive health needs needs of women who are incarcerated, including that all incarcerated women should have access to the same reproductive health care as anyone else, including contraception and counseling, abortion, menstrual supplies, STI testing, prenatal care, adequate nutrition and other basic care during pregnancy, labor and delivery services, and breastfeeding services. Furthermore, no incarcerated woman should be shackled during her pregnancy at any point, including during transportation to health care or court, labor and delivery, or postpartum recovery. The National Institute has partnered with local and state advocates to highlight the reproductive needs of incarcerated women; provide sexual health education and services inside and outside the prison walls; and deepen relationships with policymakers and prison officials to adopt and implement better policies. In several states, we have helped advocates pass laws that prohibit the shackling of incarcerated women who are pregnant.